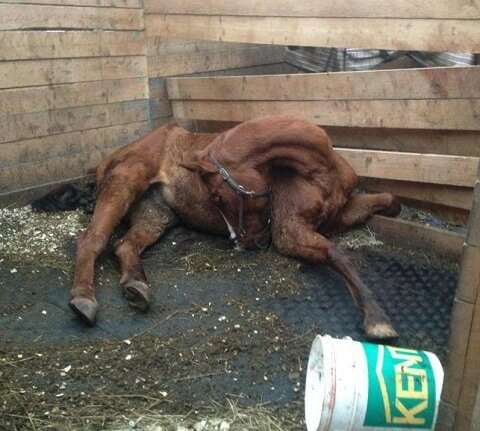 Veronika Larson found the chestnut gelding named Douglas dead in his stall. 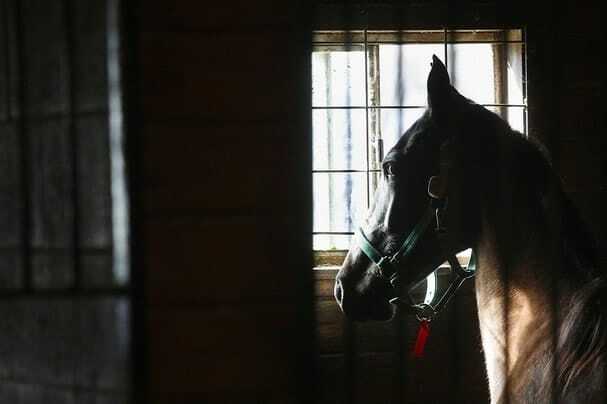 He is one of six horses that reportedly died in 2013 at Breighmara Equestrian Facility. WARNING: This article contains graphic images. User discretion is advised. “I’ve never seen anything that awful in my life. It was horrific. I’ve had nightmares, and I still see him when I close my eyes”. 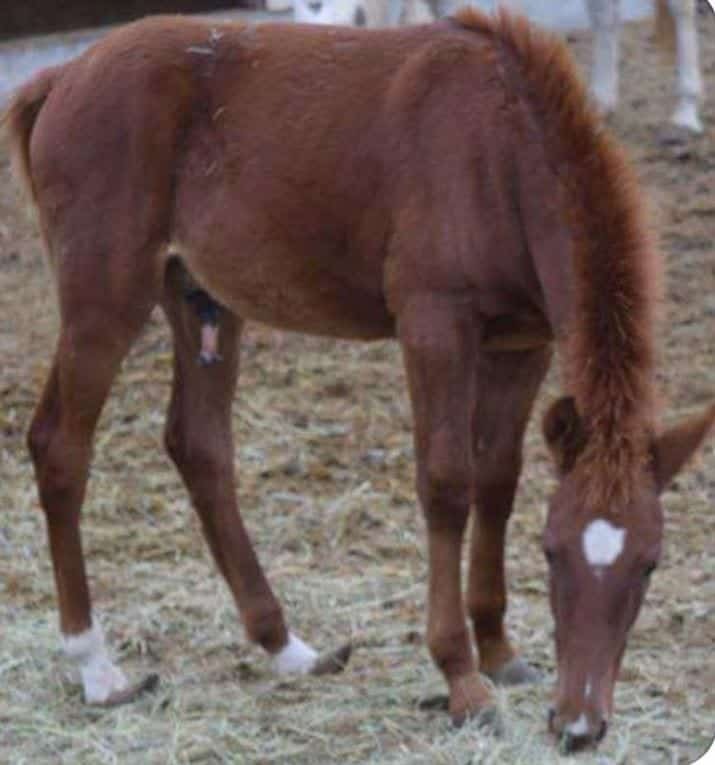 Veronika Larson found the chestnut gelding named Douglas dead in his stall around noon on November 27. 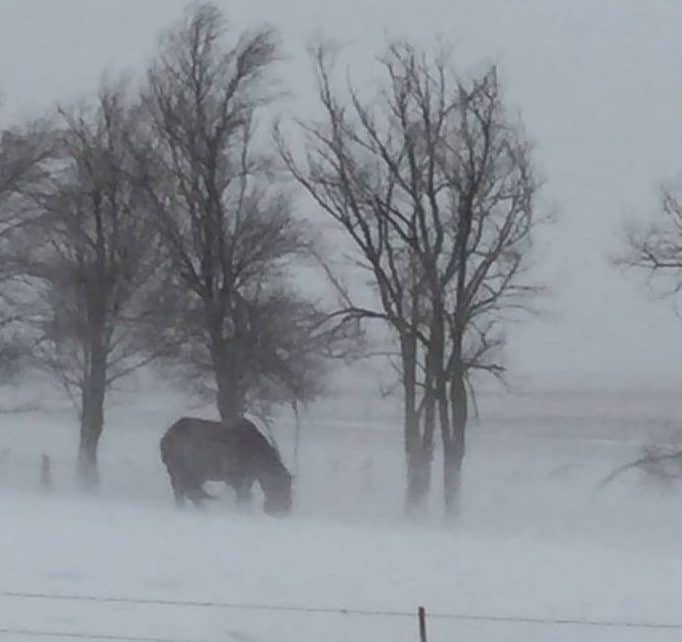 He is one of six horses that reportedly died in 2013 at Breighmara Equestrian Facility. The Nova Scotia boarding stable is owned by Cecile (CeCe) Young. 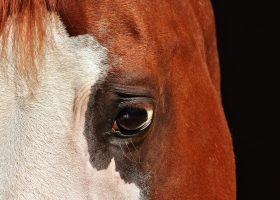 While it is unknown what caused the chestnut gelding’s death, an investigation was launched by the Royal Canadian Mounted Police (RCMP) and Nova Scotia’s Department of Agriculture. When Larson found Douglas’s lifeless body, she says none of the horses in the barn had hay or water. There was no one at the barn and no grain in the feed room. Larson was at the barn picking up her equipment. 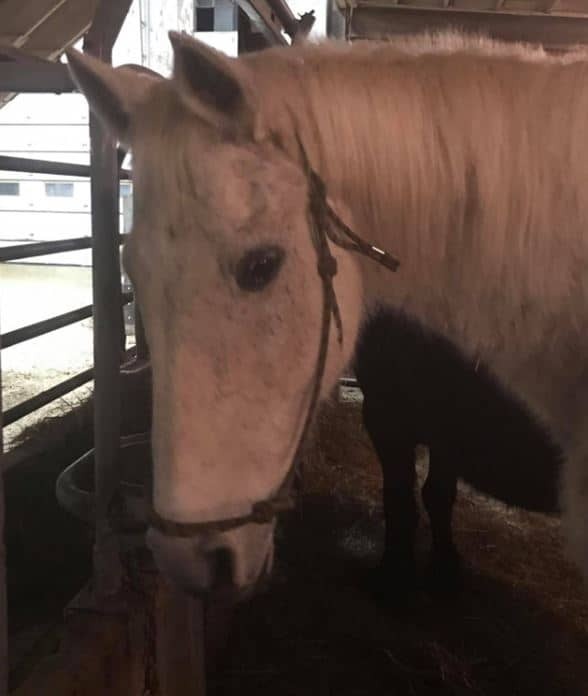 The horse she leased was euthanized on November 20, reportedly from colic and ulcers. “I do know that we bagged Clancy’s meals individually and sometimes there were previous days’ meals not fed when I arrived”. 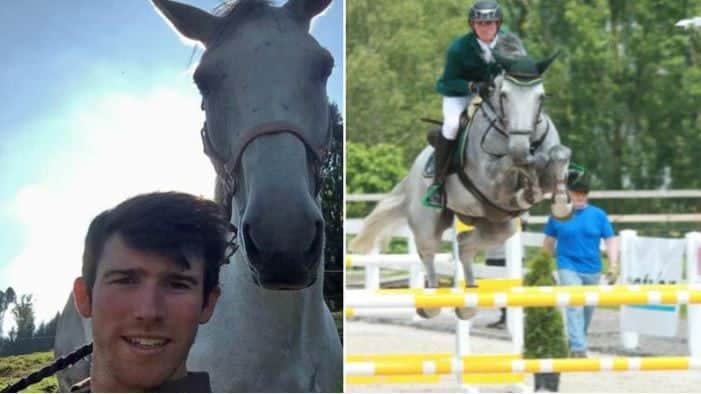 Pepper died two days after investigators took photos of the horses at Breighmara Equestrian, but failed to take action. While there, Larson took another picture of a grey Appaloosa gelding named Pepper laying down, his spine protruding through his skin. 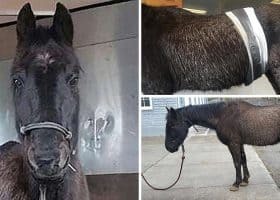 Concerned local Erica Saunders Dunlap tells Rate My Horse PRO one of the Department of Agriculture’s veterinarians visited Breighmara Equestrian on November 28, the day after the photos of the horses were taken “to assess the condition of horses on site”. The grey gelding was dead two days later on November 30. 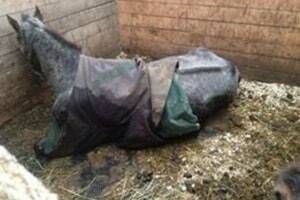 Three horses dead in three weeks. 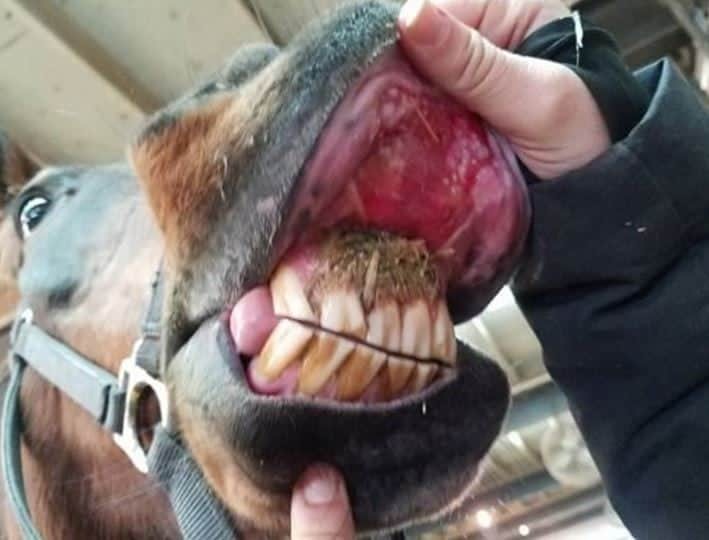 Is it a case of bad luck or were these horses neglected by the stable that advertises full-service boarding, training, and lessons to the public? 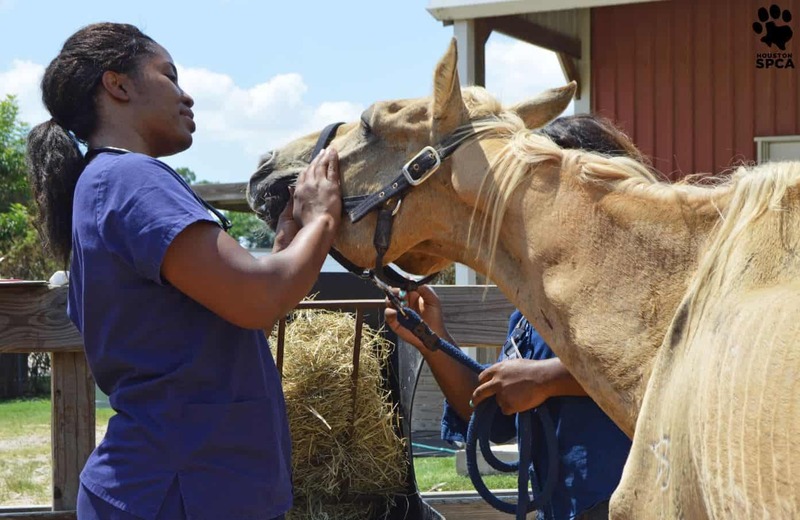 “Our goal is to provide you with the best in care, safety, and training,” states the farm’s website. Cpl. 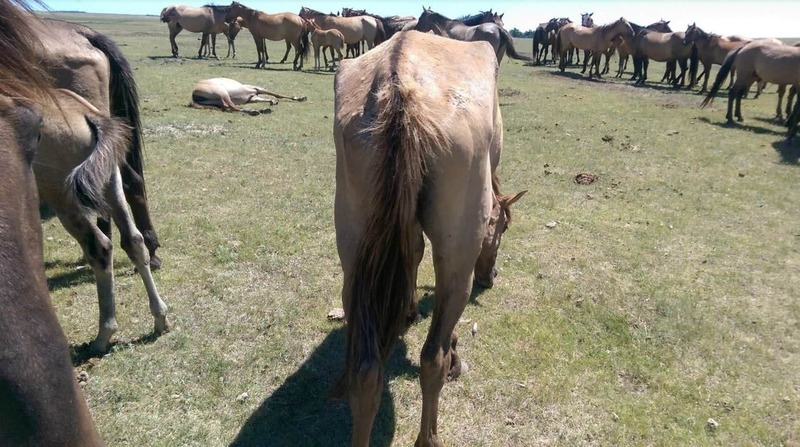 Scott MacRae, a spokesman for RCMP, said his agency was contacted initially by the Department of Agriculture regarding allegations of mistreatment and abuse of horses. When asked why complainants we spoke with had not been contacted by RCMP investigators he advised a complaint only starts the investigation process. “Information is valuable. Anyone with information that wants to bring it forward should go to their local detachment and bring in their evidence. We encourage people to come forward”. Another complaint was received by RCMP. The stable’s owner, Young, alleges she is being harassed, according to Cpl. MacRae. Her complaint is also being investigated. We were unable to reach Young by phone. The woman answering said Young was unavailable, although when we pressed asking if she was Young she hung up the phone. Our attempts after that were also unsuccessful. Krista Higdon, a spokeswoman for the DOA, said the agency did receive a complaint and there is an on-going investigation. She confirmed a veterinarian went to the farm, but she would not discuss the date or outcome of the visit. Higdon verified this isn’t the first time there have been complaints regarding Young’s facility near Halifax, although she said those complaints were unfounded. “A complaint is unfounded when no violation of the Animal Protection Act is found during an inspection,” Higdon said. 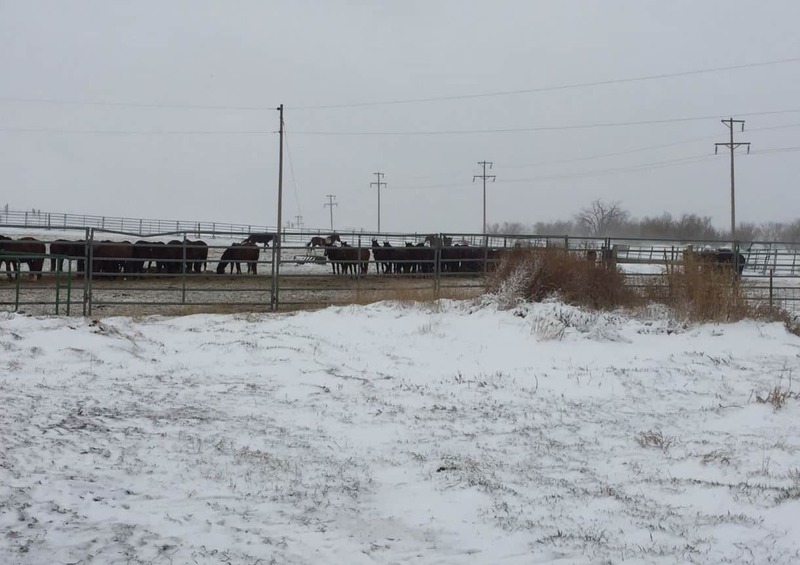 Previous boarders filed complaints with the department after the death of two horses in January. 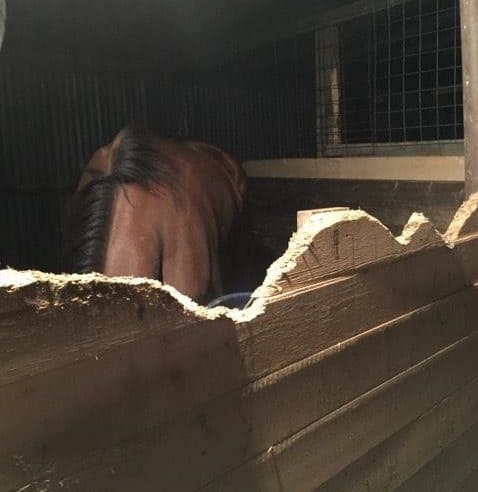 Leigh-Ann Mac Divitt and her friend pulled their horses from the stable after she says conditions continued to deteriorate. Divitt said Animal Welfare Inspector Merridy Rankin took her statement regarding frozen buckets and the regular lack of food and water. The farm doesn’t have electricity and is powered by a generator. When it runs out of fuel the well is unable to pump water. Divitt never received an answer regarding if an investigation took place despite her numerous inquiries. 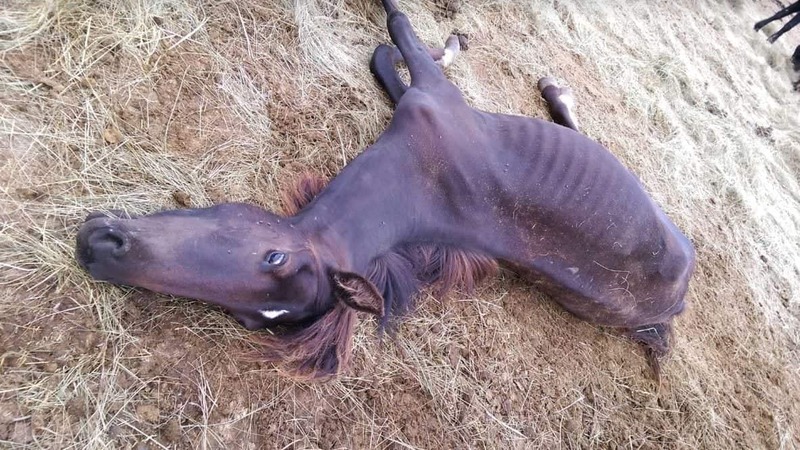 All Divitt knows is four more horses have died since her complaint was made. 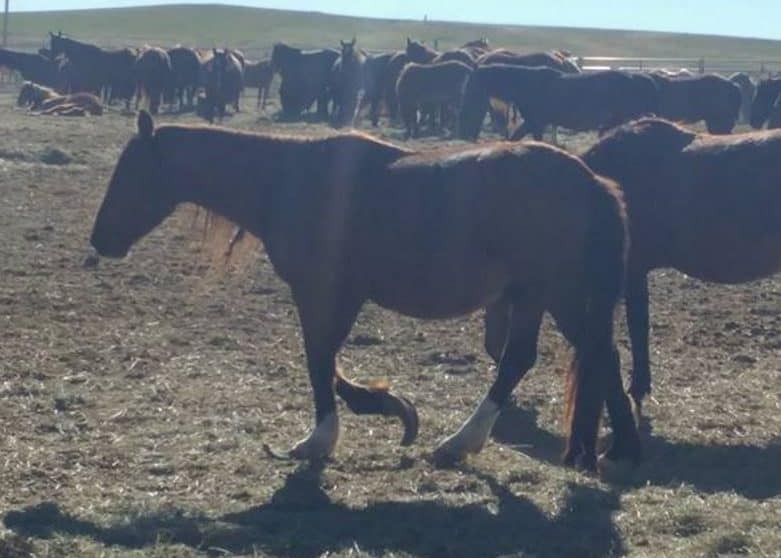 She and a group of local horse owners say they are concerned the agencies aren’t doing enough for the dozen or so horses remaining on the property. Feed donations have been made to help in the short-term and volunteers are helping with chores, but neither are long-term solutions for what they say is a continuing problem. Carlene Walsh also boarded at the farm. Despite her horse being an easy keeper, she says he lost so much weight, she had to buy a new saddle after he became so slight. 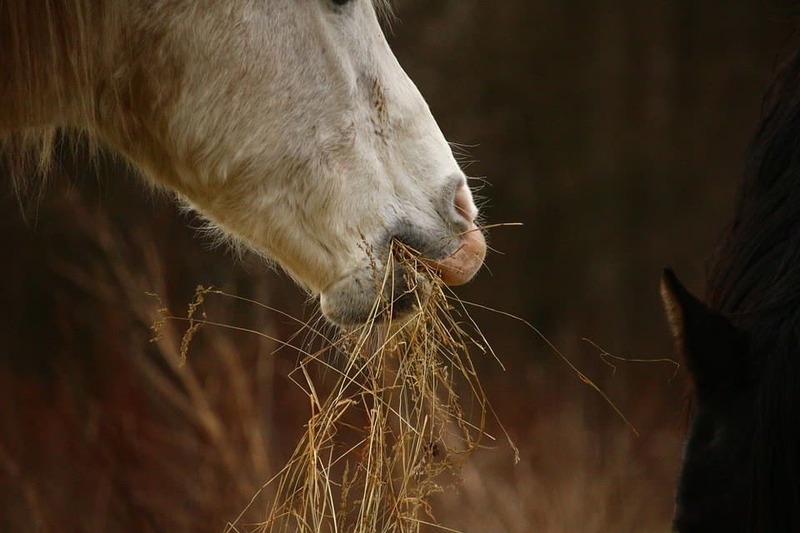 “When I brought up the issue I learned she wasn’t feeding him what he was supposed to be eating – she had him on sweet feed and she knew he had foundered before”. The barn would also regularly run out of hay, according to Walsh. Walsh says she showed up after lunchtime one day and couldn’t believe what she found. 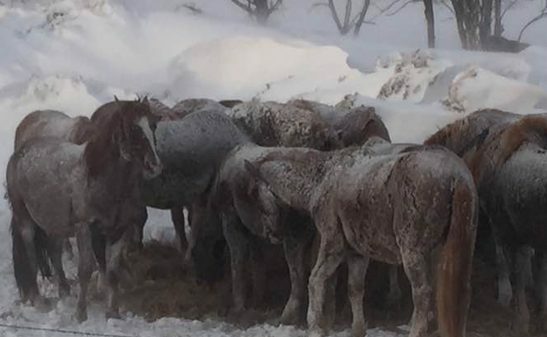 “The horses were still inside from the night before. They hadn’t had breakfast, they didn’t have water, and the stalls hadn’t been cleaned”. 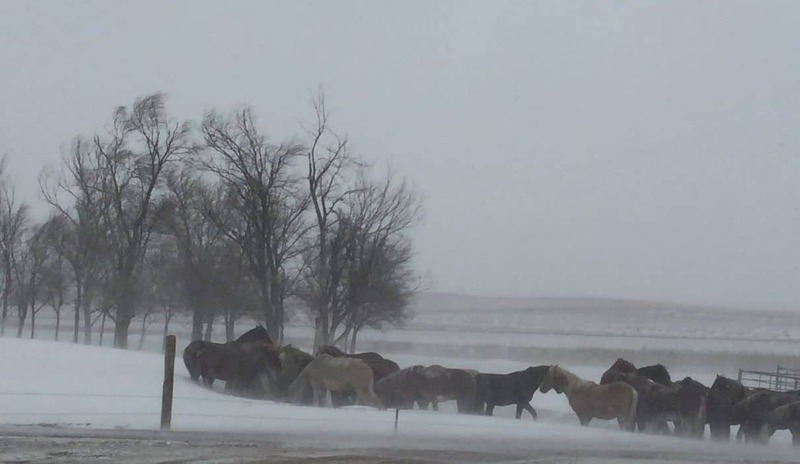 When Walsh tried to feed the horses there was only grain, no hay. “I gave them grain and water, but that’s all I could do”. 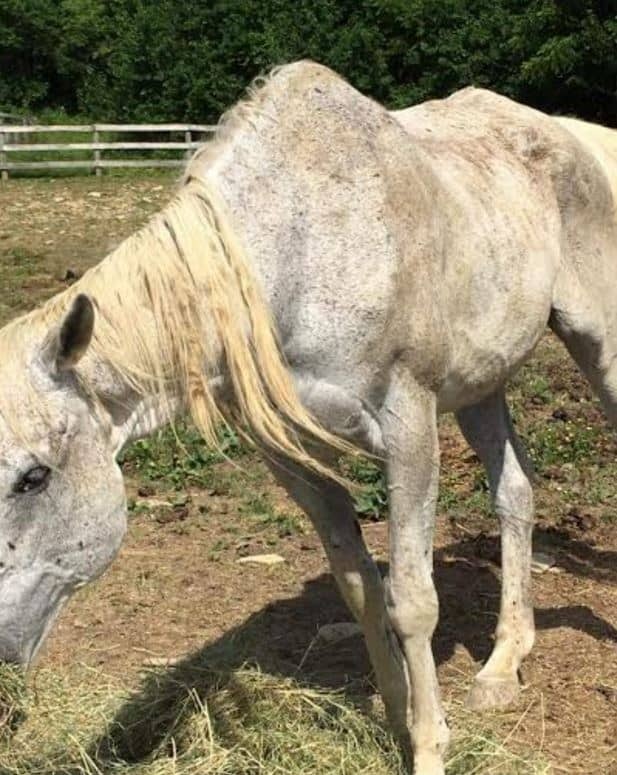 Walsh said, “we need better laws to protect horses from being neglected”. 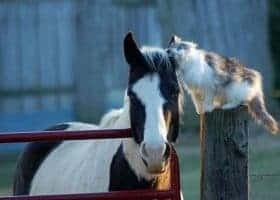 The Animal Protection Act is supposed to provide protection for all farm animals including horses, allowing investigators to conduct inspections, bring charges, seize animals in distress, and provide immediate and appropriate care. We have requested statistics from the DOA regarding the number of seizures and charges brought from the past five years. 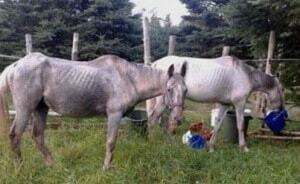 A previously unreleased photo shows the body condition of two horses in July 2013. The mare Wicka is on the right and Trinity is on the left. Natasha Cohoon, the farm’s barn manager, and riding instructor owned Wicka until the mare’s death in September 2013. 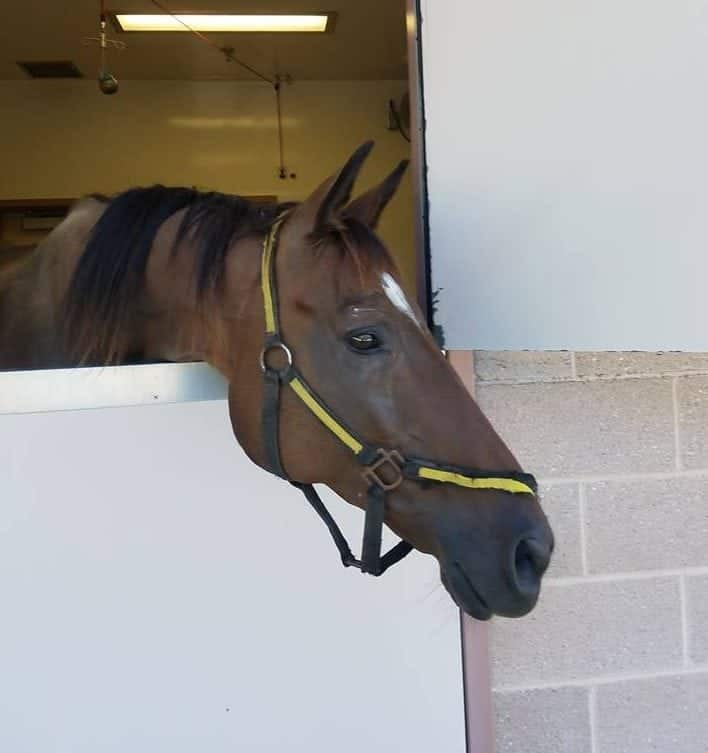 Trinity is reportedly still at Breighmara Equestrian. Halifax resident Dunlap said, “I am deeply concerned that the Department of Agriculture is not recognizing the historical pattern at work”.